The Apple App Store offers a great selection of Christmas apps, covering everything from holiday music to greeting cards. While these apps are not delivered by Santa and his reindeer, they are a festive addition to your iPhone, iPad, or iPod Touch this holiday season. The market for holiday-themed apps changes quickly. In addition to the choices listed below, don't forget to occasionally look in the App Store for Christmas apps specially curated by Apple's editors. The Grinch Edition of the Dr. Seuss Camera is an adorable Christmas app for kids or anyone who could use some extra holiday spirit. It includes 20 “Grinchmas” cards that you can personalize with your own photos — and who doesn't want a picture of themselves dressed as the Grinch? The cards can be emailed to friends or saved to the app’s photo library. If you’re only going to download one Christmas app this season, make it this one. The Christmas Radio app features a festive interface and a collection of more than 31,000 radio stations. The app is based on SHOUTcast radio, so you can search the stations by keyword and save your favorites for quick access later. Music can be streamed over 4G LTE or Wi-Fi. Because it's based on SHOUTcast, you'll be able to save your favorite radio stations to the internet radio player of your choice, on your PC or Mac. If you are overwhelmed with holiday shopping each year, the Christmas List app is for you. It’s a full-featured list app with email support, address book integration, and plenty of sortable categories. You can even track your spending so that you don’t exceed your gift budget. And the app is password-protected to hide your list from prying eyes. Use this app as a scratchpad or reminder of items for your list, which you can then insert into solutions that your friends or family use for gift exchanges, like Amazon wishlists or tools like Elfster. If holiday anticipation is killing you, the Christmas Countdown! app — another free offering — will keep you sane until the big day arrives. The app includes a Christmas countdown, an Advent calendar, and a small collection of holiday songs. An in-app gift list will also help you keep track of your holiday purchases. Starting December 1st every year, the North American Aerospace Defense Command (NORAD) tracks Santa along his global seasonal trek. The app has much more than the web-based Claus-GPS system, though. Kids can play arcade games (a new one each day in December), listen to Santa's favorite holiday songs, watch YouTube videos about Santa and NORAD, and get a glimpse into the Defense Command's HQ (including Secret Santa files). 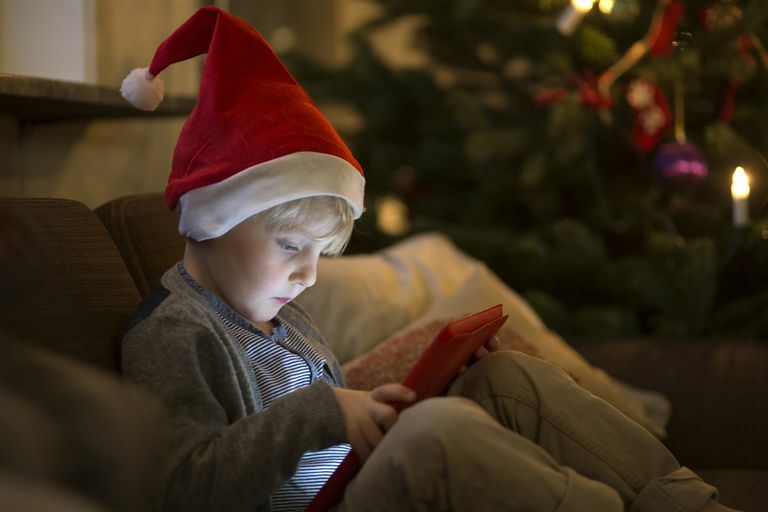 If your little ones want to tech-up their Christmas anticipation, NORAD Tracks Santa is the app for you.